75-year-old Maureen Lansdale has had her memory fully restored after becoming the first person in the UK to undergo a new treatment for the brain. Two years ago the grandmother-of-nine began losing her memory including the names of her children and her own address. The doctors diagnosed her as having a vascular malformation, when a vein and artery have incorrectly joined together in the brain. But thanks to the pioneering treatment, where the vascular malformation is removed …through the nose, Mrs Lansdale’s health and memory have been restored. ‘It sounded scary being the first but I couldn’t live the way I was living, so I agreed. I’ve had the most wonderful thing done for me and I’m so grateful. We are all living longer and that is something to celebrate. A third of babies born today are expected to reach their 100th birthday. But are older people living well? Already that is debatable, and the future is clouded with uncertainty. Our health and social care systems are antiquated and no longer fit for purpose, with vulnerable older people drawing the short straw. When the NHS was set up it was there to treat outbreaks of tuberculosis and measles, to see women through childbirth and children with whooping cough. Today, the majority of service users are older people with multiple long-term conditions. Seven out of ten people with dementia have another long term condition and require care and support from a range of different professionals. Today the NHS is too often seen as just the hospital – the visible sign of health care in the town. But the community support that should be there to help people live well at home is hidden. We take an overly reactive approach, rewarding crisis admissions to hospital rather than delivering on the outcomes that matter most to people. Alzheimer’s Society recently published new research which brought the disparity between the services we have and those we need into sharp focus. It found that by 2015 there will be 850,000 people with dementia in the UK, more than ever before. The cost of this unfolding epidemic has hit £26bn a year, a price tag which is set to rise alongside the rising numbers. Most striking of all this is that people with dementia, their carers and families are shouldering two-thirds of this cost themselves. The post second world war settlement of cradle to grave health care which is free at the point of delivery must remain. But today’s needs are as much about social care. We need new and flexible models of delivery where the emphasis is on building services around individuals, not institutions. 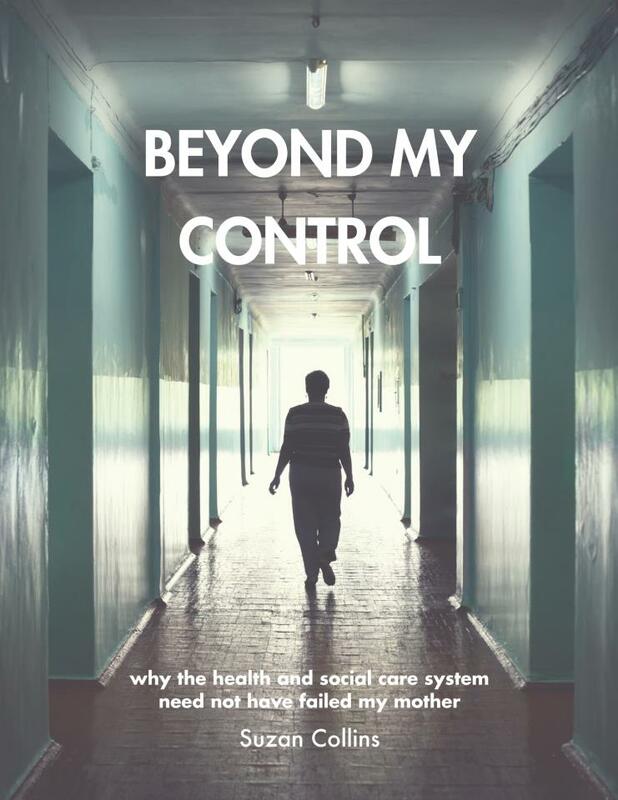 For decades the closer integration of health and social care has been a goal of public policy, but we have yet to see its effective translation. Fundamental to living well in older age is maintaining health and independence. This winter the crisis in NHS funding will once again be centre stage. But for many years, there has been a crisis in social care. Make no mistake: the services that support older people, often the most vulnerable, are on the verge of meltdown. This is why the Ready for Ageing Alliance has created a manifesto calling on policymakers in government and beyond to start engaging seriously with the trend towards longer lives. The alliance formed in 2013 following publication of the Filkin report and its conclusion that we as a country were nowhere near ready for an ageing population. The aim of members Age UK, Alzheimer’s Society, Anchor, Carers UK, Centre for Policy on Ageing, the International Longevity Centre – UK , Independent Age and Joseph Rowntree Foundation is to make the case for action to ensure that our society makes the most of our ageing population. The manifesto sets out detailed recommendations for public policy covering housing; health & social care; the economy and communities and calls for government to take the lead. It calls for us to stop seeing ageing as being just about older people – if we wait until we are 60 or 70 to prepare we’ll have left it too late. We believe everyone aged 50 should be sent a pack giving information and advice. At the core of the failings of our health and social care system is ageism. Older people are too often treated like second class citizens. Legislation has gone some way to preventing discrimination on grounds of age, but bizarrely financial services are exempt and hidden discrimination remains in many walks of life. It’s vital we stop operating hospitals on a model designed for the past. Staff and patient ratios on hospital wards for older patients are often lower than on general wards. This makes little sense given that older people often need more help and care. Two thirds of hospital beds are currently occupied by a person with dementia. People living with the condition have even further complex needs which must be taken into consideration. The government has ordered a review of the Deprivation of Liberty Safeguards (Dols) less than three months after it told peers there was no need to rethink the legislation. The Dols legislation, which applies to care homes and hospitals, will now be added to a Law Commission review of frameworks for authorising deprivation of liberty, the commission announced today. Deprivation of liberty cases in settings not covered by the Dols, notably supported living, require authorisation by the Court of Protection. The Law Commission project had been restricted to drafting a new legal framework to cover deprivation of liberty in settings not covered by the Dols, notably supported living. But recent changes in case law, notably a Supreme Court ruling in March that has led to a surge in deprivation of liberty cases, and consultation with stakeholders prompted the Department of Health to request that the project be extended to cover the Dols, the commission said. The project will publish a consultation paper next summer and a final report in 2017. The move to extend the commission’s review to include the Dols marks a significant change in stance from the government. In June, in its official response to a highly-critical House of Lords committee report that described the Dols as “not fit for purpose”, the government insisted there was no “fundamental flaw” in the Dols legislation. It rejected the peers’ call for the Dols to be scrapped and replaced with a system that was simpler and more grounded in the principles of the Mental Capacity Act.